There are many ways to celebrate a Hanukkah menorah lighting. Announcing that "Jesus is the reason for the season" is not one of them. 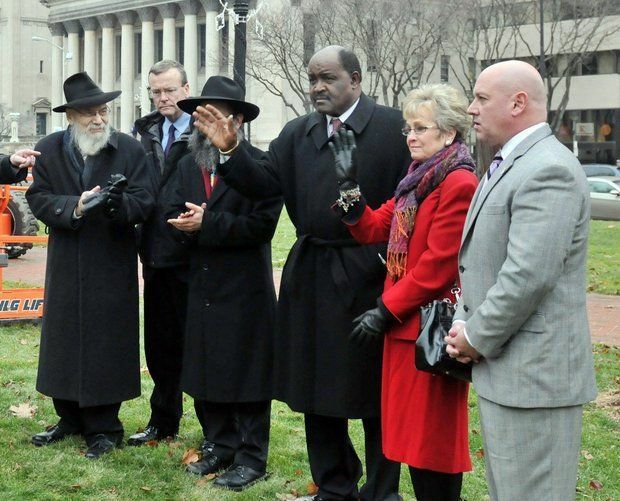 Bud Williams, a city councilor in Springfield, Massachusetts, found out the hard way when he spoke at the city&apos;s annual menorah lighting this week. Williams, a Baptist, told a crowd of Jewish community members and local leaders that "Jesus is the reason for the season." After the speech, he only dug in deeper: "I thought it added something to the service, it didn&apos;t take away," he told MassLive, adding that some of the rabbis in attendance complimented him afterward. "Jesus was Jewish," Williams continued. "To me, Jesus is the messiah. ... I thought I was being very positive." The key phrase there, of course, is "to me." Jesus may be the messiah to him, but that&apos;s irrelevant when speaking at an important ceremony for a different religion. Two other speakers — Rep. Richard Neal (D-Mass.) and Springfield Mayor Domenic Sarno — managed to talk about the city&apos;s religious history without embarrassing themselves. So if Williams is invited to speak again next year — and that&apos;s a big "if" — let&apos;s hope he leaves the proselytizing at home.